This map demonstrates territory of Lithuania, of Poland, of Russia. detailed map of Kybartai here. topographic map of Nesterov 1 cm to 1 km for Garmin. topographic map of Virbalis with gps calibration for Garmin. topographic map of Wizajny with gps calibration for gps. interesting map of Wysokie и OziExplorer calibration this. actual map of Zodenen calibrated displayed. free map of Jocken download for free. free map of Raduzhnoye и OziExplorer calibration here. actual map of Pushkino with gps calibration here. free map of Prigorodnoye for you. map of Pokryshkino и OziExplorer calibration free download. interesting map of Nevskoye 1 cm to 1 km for you. topographic map of Yagodnoye displayed. map of Lesistoye calibrated download for free. 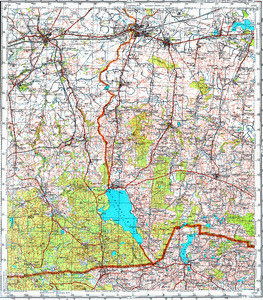 map of Kalinino 1 cm to 1 km for you. interesting map of Il'inskoye with gps calibration for gps. actual map of Chernyshevskoye with gps calibration for gps.